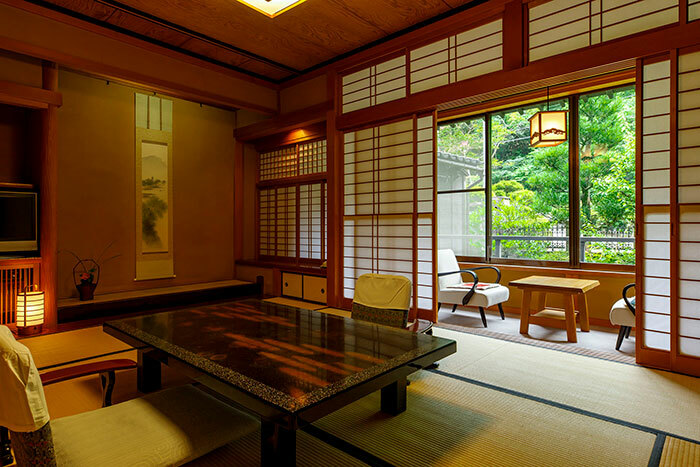 Rooms in Motoyu Ishiya are perfectly preserved and offer traditional atmosphere. 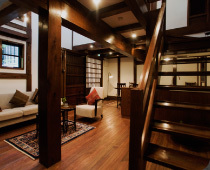 Please enjoy a leisurely stay and spend a wonderful time as you wish. 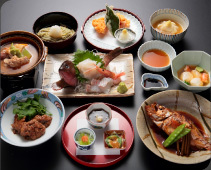 We cordially offer the best delicacies with high quality materials of each season and our authentic flavorings loved generation through generation in Kanazawa. 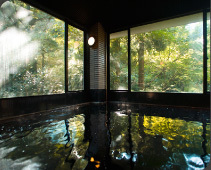 Amber-colored water of moor hot spring contains natural moisturizing ingredients derived from plants gushing through layers under the ground over centuries, and known as its high skin-moisturizing effect. 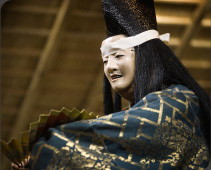 Noh art has been handed down over centuries since Muromachi period. Dreamy time serenely starts at the stage in verdurous Fukatani.